Door locks are the first line of defense against crooks and intruders. The front door is one of the most common burglar entry points, so using effective locks to secure your doors is extremely important. So, how do you know when it’s time to change the locks? It’s a good idea to change the locks when you move into a new home – even if the house is new construction. You never know who had access to the home before you and whether they made a spare key. 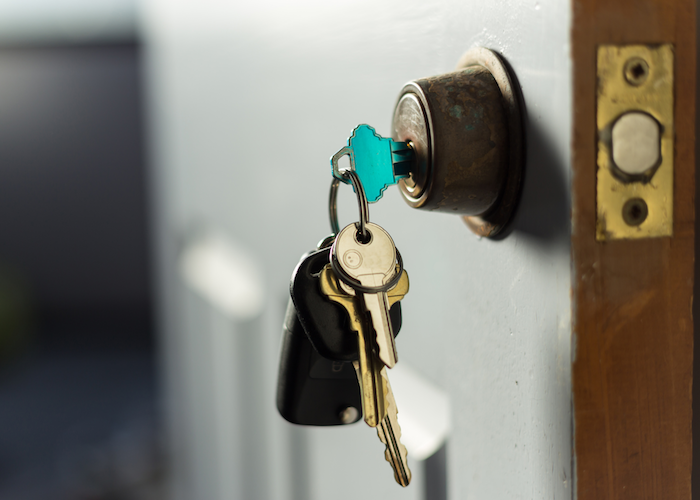 Changing the locks after someone moves out is a priority – especially if the terms of the move weren’t amicable. Whether a roommate or ex-spouse, it’s better to be safe than sorry, even if you think they may not be capable of retribution. If you are the victim of a break-in, take time to review the condition of your door and change the locks. A damaged lock is more susceptible to additional break-ins. It might also be a good time to increase your home’s overall security. Having a professionally monitored home security system installed is a proven way to reduce the risk of future break-ins. If you lost or had your keys stolen, you have no idea into whose hands they could end up. Better to err on the side of caution and change the locks rather than be a victim of a break-in. Locks can be damaged or weakened by wear and tear. Worn locks are easier to break into. If it’s been a while, go ahead and change those locks rather than letting a crook take advantage of an easy target. When it’s time to change your locks, consider upgrading to home automation complete with interactive locks, easily controlled right from your smartphone. Need to give temporary access to your home? Assign a temporary code for the lock and receive a notification when that code is used. You can even lock the door and arm your security system confirming your home is secure, locked, and armed. Door locks are a just a small part of your larger home security strategy. Installing a monitored home security system with home automation gives you peace of mind, knowing your home and family are secure. For a free home security consultation, contact Crime Prevention Security Systems today.